Inspired by thai noodle soup bowls at my work’s cafeteria. This is a healthy and colorful option. Serves 4 to 6. Broad rice noodles (1/2 package) Boiled in water and put aside. Don’t overcook maybe 7 minutes or so. Veggies. Choose any options. 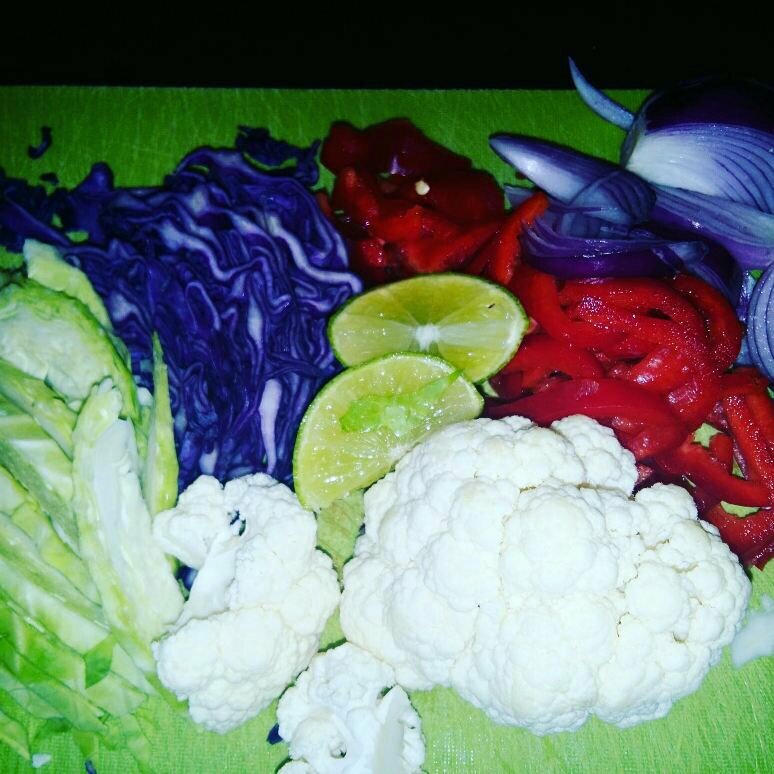 Here’s what I choose: 1 red pepper, 1 cup each of red and green cabbage, 1/2 cup each of cauliflower and red onion. Lime to garnish. Flavors: 2 cups veggie broth, 2 tsp mild curry powder, 2 tsp coconut milk powder, 2 cloves garlic (minced), 1 inch ginger (minced), red chilli flakes and sambal oelek sauce to taste (optional), salt to taste. Squeeze of fresh lime and cilantro. 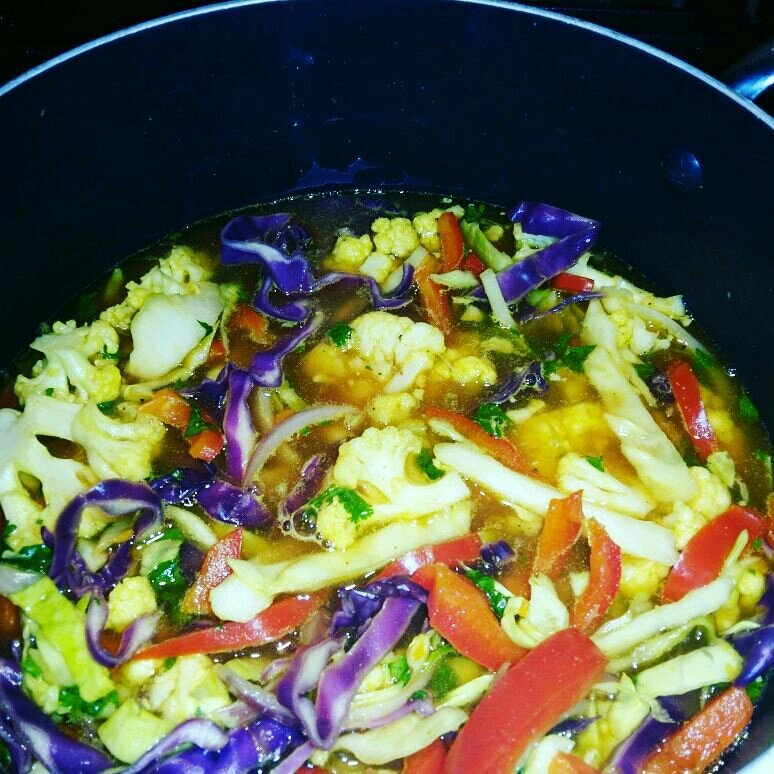 Add all spices and flavors to broth and bring to simmer. Add all vegetables and cook for 10 minutes. Once cooked. Take a bowl and add cooked rice noodles (1/2 to 3/4 cup serving) to it. Add veggies and soup. Garnish with lime and cilantro. Previous Post Week 3: Ready, Set, Go!